Which crankcase is connected to the center cylinder that was previously connected to the Right cylinder? That's the one with leaking crank seal or weepy oil feed check valves. here are some pictures of the two different styles of SRIS the 750's had. If its hooked up correctly than it could be the seals between the center and right hand cylinder as that is the only area that is lubricated by crankcase oil. it could be the seals between the center and right hand cylinder as that is the only area that is lubricated by crankcase oil. Actually, all 3 cylinders on a 750 can pull transmission oil through crank seals, center and right cylinders have the primary gear between them, the starter clutch is on the left side and can pull oil into left cylinder. When you say it is smoking, is it a heavy cloud, have you gave it a good run, sometimes you just need to wind it up to stir up the 2 stroke oil that is pooling in the bottom of crankcase. If it is crank seal issue, it will lower your transmission oil level. Yes l gave it a good 80 mph run on I24 and it was blowing a white smoke screen down the interstate. I’m having to add gear oil on a regular basis. Is there a way to drain the gear oil and replace with fresh oil? Karl, yes I didn't mention it because if that was the case it would be smoking out the left cylinder from the start. but yes you are right. GTRida if your going through gear oil and its pouring white smoke than you have no choice but to do a complete engine teardown and rebuild the crank and replace the seals. Karl, yes I didn't mention it because if that was the case it would be smoking out the left cylinder from the start. 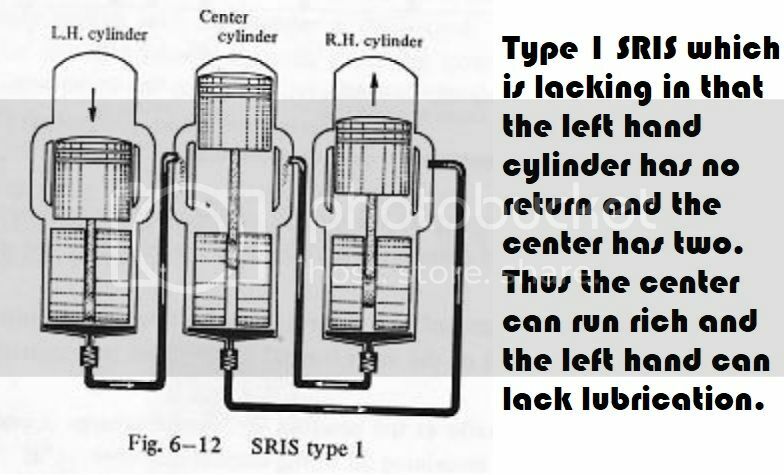 Not sure I follow you on that, If the left cylinder is the one pulling gear oil, and the SRIS tubes are transferring the oil to center or right cylinder. 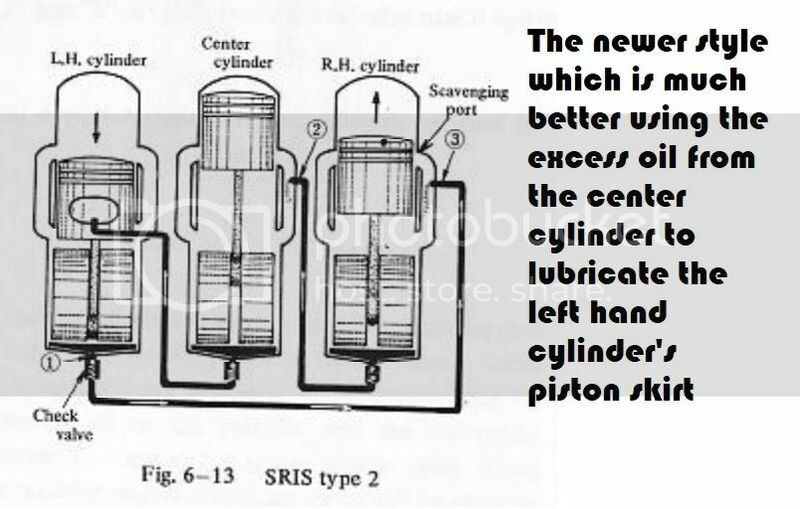 He said in his first post that the right cylinder was smoking, he switched the SRIS tubes, now the center cylinder is the one smoking, We dont know witch crankcase SRIS is the one transferring oil , so all 3 cylinders must be questioned. Does sound like crank rebuild. There are ways to soften seals if they are not cracked. Will a good smokeless 2-stroke oil make the smoking less obvious? What brand or type do you guys suggest? Will a good smokeless 2-stroke oil make the smoking less obvious? The smoke is coming from the gear oil burning, 2 stroke oil won't make much of a difference I'm afraid. On my T250 with leaking crank seals, I put some blue devil pour and go seal repair in the transmission oil, my seals were hard from setting for years. Since doing this I haven't had to add gear oil and smokes much less, might be worth a try, if they are cracked or out of position crank rebuild might be the only answer. Update, I was riding this week and a guy at the gas station said the smoke from my right cylinder was from a primary seal in my transmission that would not require the cases to be split just remove the clutch cover and basket. He said the bike runs too good to be crank seals. Does this sound true? I have not seen anything on this forum that points to a seal other than crank seals that would allow gear oil to be burning. Please advise....... thanks. The primary gear is between the center and right cylinder, it has crank seals preventing gear oil from entering center and right cylinders. There is no way to replace the seals in issue without pulling crank out. There is no seal to change behind clutch. He said the bike runs too good to be crank seals. Bikes with leaking crank seals can run fine but smoke.